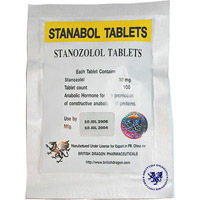 Oral Winstrol is an Oral version of Winstrol Depot (Stanozolol). So read all information about this product as for injectable form. As it has been already mentioned, injectable version is more efficient than the winstrol oral one but this is mostly because oral Winstrol is used in lower dosages than injectable one and athletes simply don’t receive enough substance. If you take 50 mg of oral Winstrol a day, the results will be almost par with 50 mg of Winstrol depot, however, you may have problems with stomach and liver. From the other hand, oral Winstrol is a good gear for females, they can do just 5-10 mg/ED and thus negative effects described above will not occur. Furthermore, oral Winstrol allows splitting daily dosage on two equal parts.